The Centre for Implant and Reconstructive Dentistry at Lane Ends Dental Practice now offers a remarkable new technology that creates virtually limitless views of the face, neck and teeth, for more complete treatment planning. 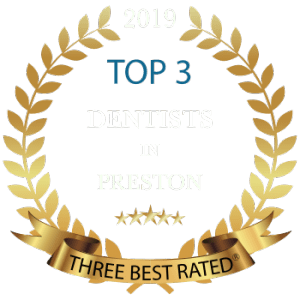 In addition to digital radiographic equipment, we have made another significant investment in you, our patients and are proud that we are one of the first U.K. dental practices to offer our own in-house state-of-the-art dental cone beam computerised tomography (CT) scanner 3D imaging. This 3D Cone Beam Imaging is fast, simple and completely painless – with a single 7-second scan; we can quickly see computer-generated views of the bones of the face, the teeth, and other details from any angle, in 3D and in colour! Cone beam imaging has become our standard of care for dental implant treatment planning, it’s important for Dr. Tehranian to have accurate and complete information to plan your treatment. 3D Dental Technology - CBCT Imaging provides that information, with a host of advantages for you and your implant dentist; Dr. Tehranian. Research has demonstrated the benefits of CBCT over routine dental radiographs in diagnosis of maxillofacial pathosis, bone loss, root resorption, alveolar fractures, implant placement, and more. Compared to regular X-rays, CBCT scans can better differentiate between many types of tissue. This includes bone, teeth, sinuses and the nerve canal, and limited soft tissue. This increases the likelihood your dentist will correctly identify pathology. And also because fewer images are needed for diagnosis – often just a single scan will provide accurate diagnostic information – patients are properly diagnosed, triaged, and treated the first time. This reduces treatment ambiguity. No superimposition and minimal distortion.